Observation - Water Vole - Arundel - UK and Ireland. 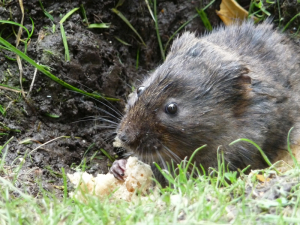 Description: This is one of several water voles to be found along the river bank in Arundel. Apparently a group were released at the WWT a few years ago and they are doing well! This is one of several water voles to be found along the river bank in Arundel. Apparently a group were released at the WWT a few years ago and they are doing well!